“The release from jail of Iman al-Najfan, Aziza al-Yousef and Ruqayyah al-Mhareb, who will finally be able to return to their homes and loved ones after their 10-month ordeal of arbitrary detention and torture, is welcome news. “This is a long overdue step as these women should never have been jailed in the first place and their release should certainly not be on a ‘temporary’ basis. They have been locked up, separated from their loved ones, subjected to torture and threats for simply peacefully calling for women’s rights and expressing their views. 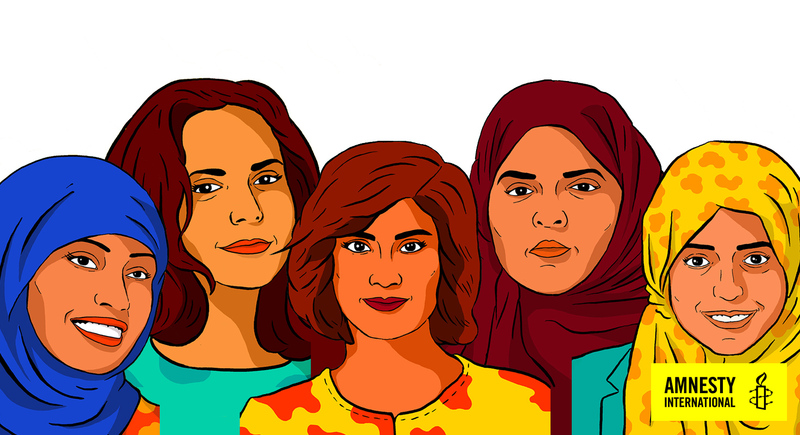 “Amnesty International calls on the Saudi authorities to drop all the charges against them and the other women’s human rights defenders, who all must be released immediately and unconditionally.